This is an entirely different vanilla cupcake recipe to the other vanilla cupcake recipe on my site. The other is my all time favourite vanilla cake/cupcake recipe and it is adapted from the infamous Magnolia Bakery cookbook. It's soft and oh-so-buttery and has an incredible vanilla flavour. 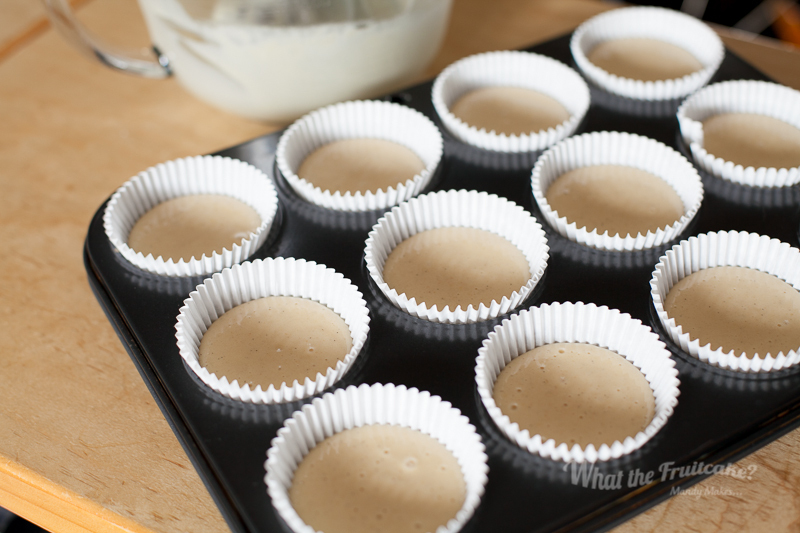 So why bother posting another recipe for vanilla cupcakes? 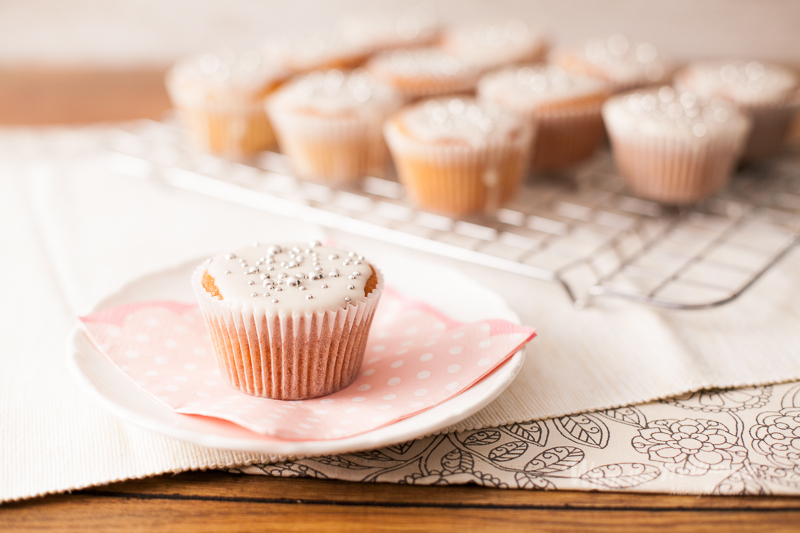 Because, as incredibly delicious as the Magnolia Bakery vanilla cupcakes are, and they really are, they also require a little more time and attention, and, if you're new to baking, they're also easy to get wrong because the technique does need a slightly more seasoned hand. These vanilla cupcakes, however, are piss easy to make. This has to be the most fool-proof recipe I've come across. Actually, there's a chocolate cake recipe that is equally fool-proof, but then they are basically one and the same with regards to technique and the majority of their ingredients. Oh, and carrot cake as well! What makes it so easy and fool-proof is that this is an oil based recipe, and oil based recipes are brilliant for a couple of reasons. 1) Oil based recipes are generally a "throw it all into a bowl and mix until mixed" kind of thing, so not much technique needed like creaming and carefully folding to avoid toughening the gluten in the flour. This also means they're pretty quick to make which is great when you've suddenly been hit with a baking bug or you have a last minute work cake sale to bake for. 2) Oil based recipes are far more moist and last quite a bit longer than a butter based recipe. Yes, that does mean you don't get the lovely buttery flavour, but I promise you, with a good quality vanilla extract, better yet, a real vanilla pod, these are incredibly fragrant and delicious. They also have a very light and tender crumb. But, and I can't stress this enough, your baking is only as good as the quality of ingredients you put into it. This is why I recommend a good quality vanilla bean paste or the seeds from a vanilla pod for the best vanilla flavour possible. I also really enjoy using a light olive oil in cake recipes that call for oil. In my opinion, it's a nicer fat to use, both for health reasons (oh, who am I kidding, this is cake we're talking about) and for taste reasons. The rest of the ingredients are pretty standard, so at the very least, splurge on a "fancy" vanilla! For some reason, probably because they're basically a from-scratch box mix cupcake (which sounds like somewhat of a contradiction), I thought it would be nice to keep these cupcakes as simple as possible. A little baking nostalgia of the cupcakes I remember having as a kid at friend's or my own birthday parties. Instead of piling these cupcakes mile high with buttercream swirls, and after recently re-discovering how lovely a simpler icing is, I decided to finish these off with a simple glaze. I went with a vanilla bean glacé icing, but I think these cupcakes would be equally delicious with an almond flavoured glaze, that is, if you're a lover of the marzipan flavour. And following on the theme of old-school baking, you just have to have silver balls on top! I remember them on every birthday cake I'd come across as a kid, and I also remember thinking they were awesome. I mean, shiny silver things that you could eat! Amazing! Of course, I didn't want these cupcakes to look quite like they were straight out of the '80's, so my little touch of modernising them was to use different sized silver dragées. Simple yet effective, at least I think so. This is my second go-to vanilla cupcake recipe, trust me, simple as they may seem, they are damned tasty and definitely deserve a "go-to" label. 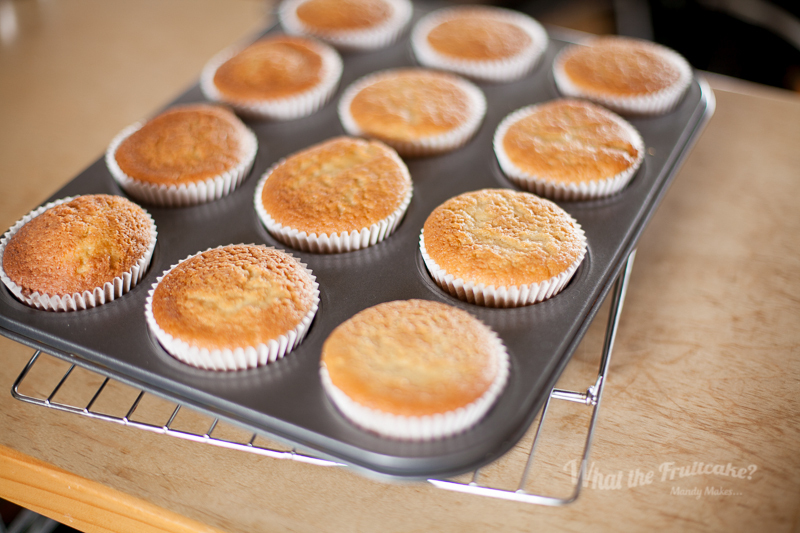 I've noticed that a fan forced oven tends to brown the top of cupcakes more-so than a convectional oven would (if you compare my cupcakes to that from the original recipe on Glorious Treats, you'll note the colour difference), so you're more likely to come out with lovely pale-topped cupcakes if using a convectional or gas oven. I have yet to experiment with creating a foil protector top type thing, but if you've done so successfully, I'd love to hear it! 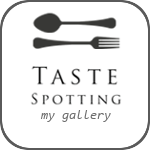 Posted on August 26, 2015 by Mandy Mortimer and tagged Vanilla Cupcakes Moist Oil Old Fashioned Old School Simple Easy Quick.